I’ve never been one to go full throttle on the latest trends. If I had to describe my style, I’d call it California Prep–casual and classic. I could live in jeans and a t-shirt if I didn’t work in a corporate setting. Over the years, I’ve worked out a few of my favorite brands and I tend to stick to them. They’re usually mid-range brands that can be found a Nordstrom or local boutiques. And while the quality is decent enough, I have found that in many cases, either the fit doesn’t stay relevant or the piece starts to fall apart after high use. In comes the investment pieces. From the perfect coat to the ultimate statement bag, it’s easy to feel overwhelmed with the cost of true “investment pieces” for your wardrobe. For some, it might never be an option. Some people think they are worth saving up for. For a lucky few, they aren’t investments at all. 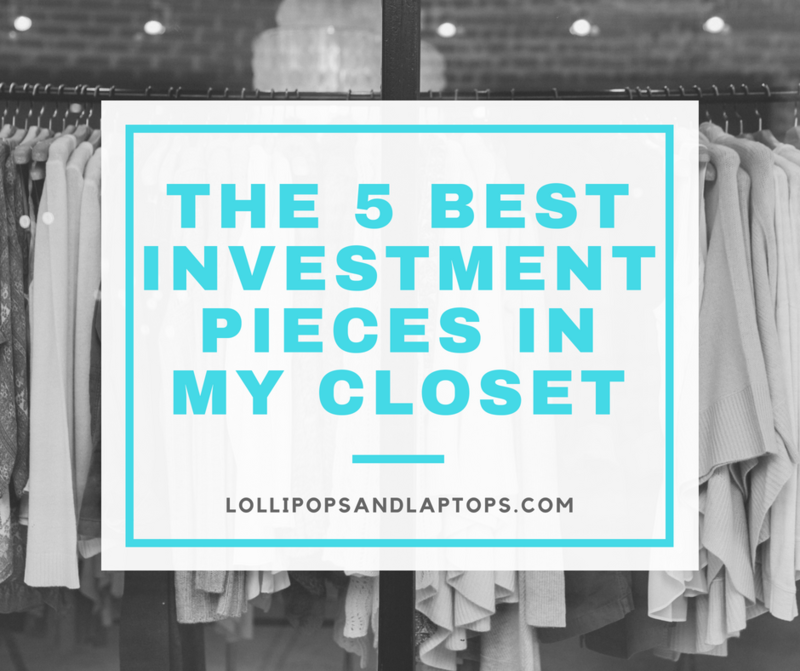 But for me, there are five pieces in my closet that I have invested in over time and have been worth every penny, based on longevity of style and quality. Read on for what they are, how much I paid for them, why they’re great, and a decent budget-friendly option if it’s just out of the question for you but you want to hone that California Prep style.